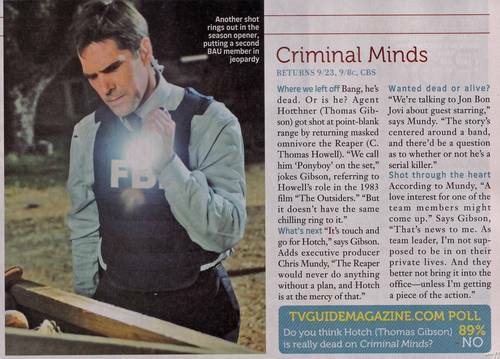 TV Guide Scan. . HD Wallpaper and background images in the Esprits Criminels club tagged: criminal minds season 5 tv guide scan. And I'd love to see Bon Jovi Guest starring! i hope he'll say yes!! Yeah, Bon Jovi would be great!